A November 16, 2018, article published in USA Today spells out the latest statistics on the rise of alcohol-triggered deaths in the United States, especially over the last decade. While the media has shone the spotlight on the horrific and very real epidemic of opioid abuse, the article suggests the alarming truth that alcohol kills far more people each year through liver cirrhosis, cancer, pancreatitis, and suicide—not to mention traffic accidents. Meanwhile, the conversation about alcohol has started again in the Church of God, as the general director of Church of God Ministries issued a column on the subject in the October issue of Move! in the wake of the hotly debated Kavanaugh Supreme Court hearings. 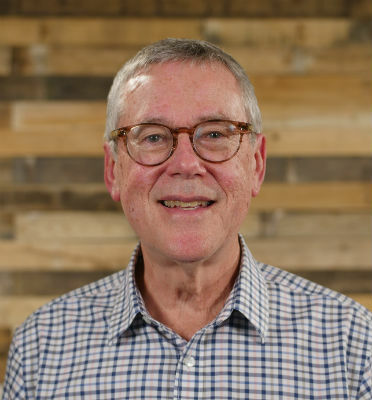 David Sebastian, dean emeritus of Anderson University School of Theology and Christian Ministry, has talked about the subject for years in the classroom, at conferences, and at camp meetings. As he’s observed, drunkenness is a sobering reality in church and society. That’s also the title of his new book, which challenges Christians to re-examine the issue of alcohol use and abuse. Did you know the eighty-seven long-term studies cited over the years to suggest health benefits to “drinking in moderation” have been overwhelmingly skewed? Did you know more children die from alcohol than from all illegal drugs combined? Did you know that one in seven teens binge drink, though only one in one hundred parents believe his or her teen binge drinks? 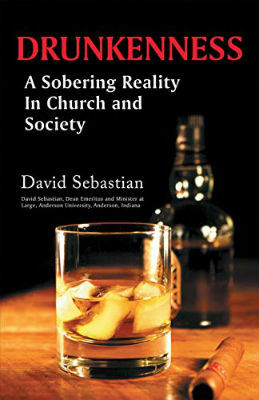 David Sebastian offers details, statistics, and sources for these claims and much more in Drunkenness: A Sobering Reality in Church and Society. But these are only statistics. What about theology? Yes, David dives into the deep there, too. The book also includes a discussion guide and Bible study for adults and students. The Christian church today has by and large taken a different posture towards alcohol than it had fifty, seventy-five, or a hundred years ago. In the Middle Ages, Christians were too often associated by other religious groups, including Muslims, with alcohol abuse. When the holiness movement began working its way through the Western world, perspectives began to shift. David says that The Gospel Trumpet and Vital Christianity used to offer frequent columns on the subject. But few seem to talk about the subject today. Discussing the book, David has a few ideas about why. “We fear some people aren’t going to like us if we talk about drinking,” David explains. “We don’t want to offend, and speaking against alcohol consumption is offensive to people. It’s the same way with divorce. But, as pastors, we sometimes wear a prophetic hat. It’s not that we want to be hard-headed. We want to be helpful and we don’t want to avoid difficult subjects.” With so many rationalizations about drinking and misinformation, including occasional misinterpretation of Scripture, more and more pastors are less likely to make a big deal about it. Both books can be purchased through iUniverse (www.iuniverse.com) and Amazon. Did you know that April is Alcohol Awareness Month? Consider David Sebastian’s book as a resource for your congregation. Learn more about Alcohol Awareness Month through the National Council on Alcoholism and Drug Dependence at www.ncadd.org. This entry was posted in All Church of God and tagged alcohol, alcohol abuse, AU School of Theology and Christian Ministry, beer, book, David Sebastian, doctrine, drinking, drug abuse, drugs, Drunkennness, history, hot topics, Jim Lyon, Kavanaugh, practice, publish, research, sin, statistics, teaching, temperance, theology, USA Today, wine, wisdom. Bookmark the permalink.